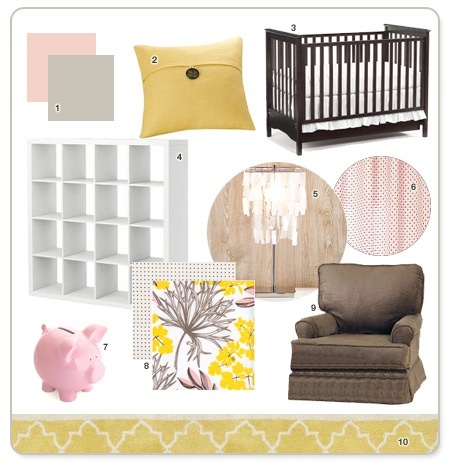 I love the hint of graphic rug at the bottom of the mood board. Putting a bold graphic rug ontop of carpet really helps dress it up. Don't forget that the ceiling and the floor are another surface to decorate! Gray and a citrus yellow - accented with white - love the paint treatment. Love the whole thing actually! 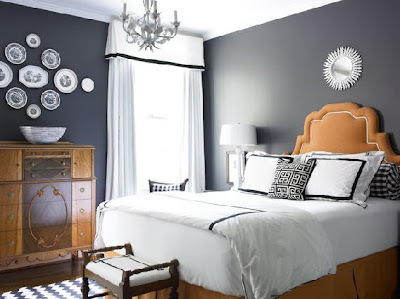 Another gray and yellow with white - I think one of the keys to pulling of gray is mixing with white so it doesn't look too dark and heavy. Those ruffled curtains are to die for! I think this one if my favorite....perfect mix of vintage glam and modern, bold prints! 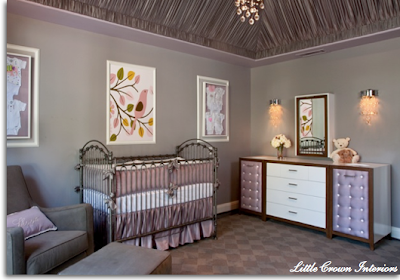 Lastly, this gray and lavender room is amazing! From the fabric ceiling to the custom upholstered furniture this is a dream room! Hello, I am thinking of pairing gray and yellow together in a room. Do you suggest an espresso finish or black finish on the furniture? I also have dark brown wood floors in the room. 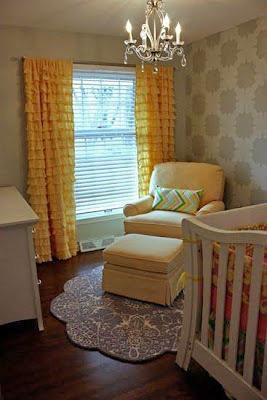 Got here via pinterest, the nursery with the yellow ruffled curtains and stenciled wall is mine. 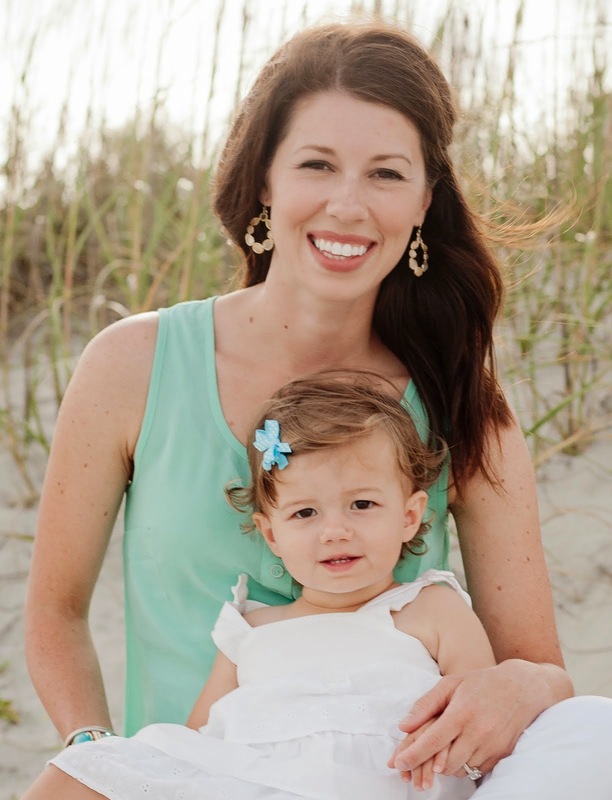 Can you credit my blog please?